Lancaster County was founded in 1729. It is named after Lancashire, England and located in southeastern Pennsylvania. More than a half-million residents reside in the county, making it the sixth most populous in Pennsylvania (12th largest in terms of size). Lancaster is the county seat and only city. Although the Amish have a relatively insular lifestyle, they are the main tourist attraction in the county, which is home to the oldest and second largest Amish settlement in the United States. Lancaster County is considered part of Pennsylvania Dutch country and like neighboring Berks County, it has a heavy German influence. African American Heritage Walking Tours run on the first Saturday of the month from June to October. They start at the visitor center on Penn Square, which is the heart of Lancaster. 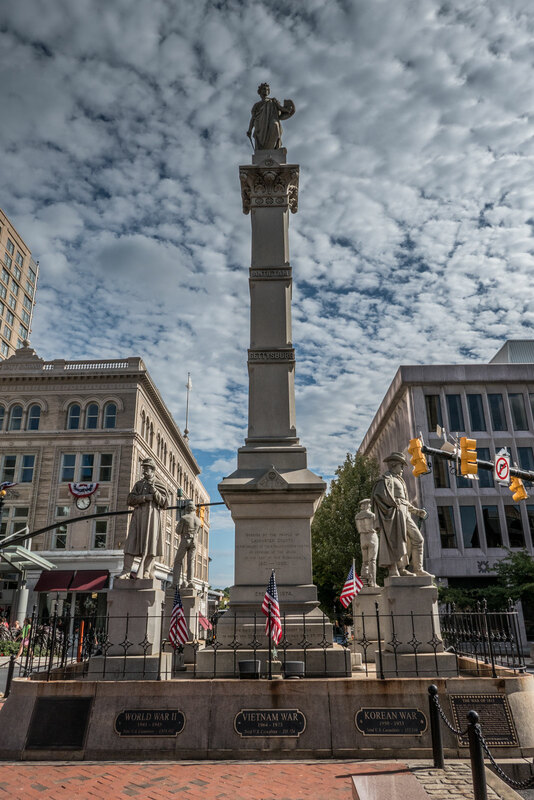 Prior to the American Civil War, there were several black-owned businesses in and around the square. Many of the owners were active in public affairs. Black farmers were able to sell their produce at the Lancaster Central Market. On Queen Street, the Elite Hotel was the only accommodation option for visiting African Americans in the early 20th century. The property that is now the Lancaster County Convention Center once served as an Underground Railroad safe house, circa 1850. The old Lancaster train station took runaway slaves to Philadelphia and points north in boxcars fitted with false ends. African Americans worshiped at Trinity Lutheran and Saint James Episcopal churches as far back as 1744. In 1817, some left Saint James Episcopal to form Bethel AME. From 1841-1883, there was an African American free school in the rear of the property. The Shreiner-Concord Cemetery was the only public cemetery open to all races and religions. Former Radical Republican congressman, Thaddeus Stevens is buried there along with many black troops from the Civil War era. It was Stevens who made a speech from the Lancaster County Courthouse in 1865 calling for “40 acres and a mule” for liberated black families in the southern states. At the Amish Farm and House, you can see how the Amish have lived for more than 300 years. The Amish kitchen is of particular interest. Although many outsiders see Amish life as isolated and restrictive, they have no dietary restrictions. Since they shun electricity, propane is used for cooking and lighting. Most Amish in Lancaster County have indoor plumbing. Their clothing is rather uniform (strictly solid colors) and there is plenty on display in the upstairs bedrooms. Perhaps the most striking difference between the Amish home and most American homes is the lack of pictures. Like Muslims, the Amish forbid photos of sentient beings. Highlights of the outside exhibits include old farming equipment, a vacuum milker, blacksmith shop as well as a schoolhouse. The Amish are only educated up to 8th grade, as that’s all they deem necessary for their way of living. The only thing missing from the museum are actual Amish people. For those who want to see Amish life in the 21st century, 90-minute bus tours leave from the museum seven days a week. They wind through the back roads of Lancaster County, where the Amish live and work. They are generally friendly people as long as you don’t try to take their picture. Decades before there was a United States of America, there was the Lancaster Central Market. 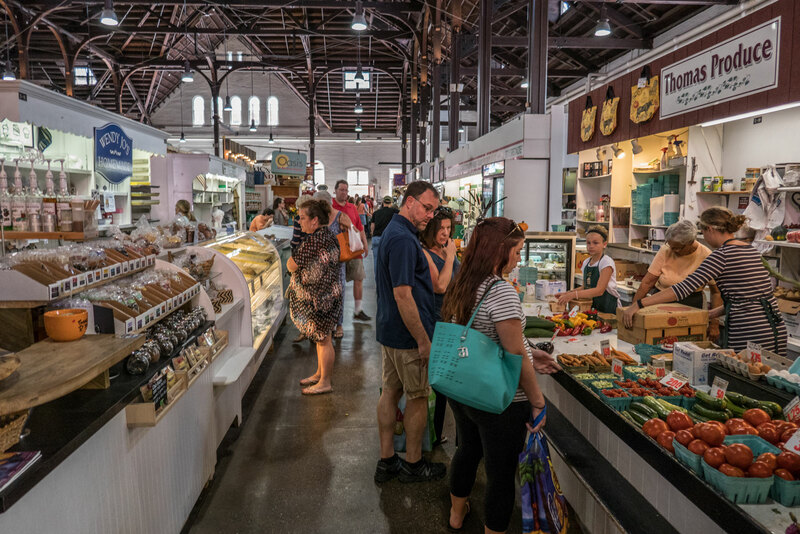 It claims to be America’s longest running farmers’ market (since 1730). Sorry, Broad Street Market! The market does a superb job of blending Victorian charm, agricultural heritage, and multiculturalism. Take advantage of the opportunity to try local (Amish) specialties like sticky bun and whoopie pies. Its convenient downtown location makes the market an ideal base from which to explore the rest of the city. Julius Sturgis was born and raised in Lititz, Pennsylvania. While apprenticing at a pretzel bakery, he accidentally left soft pretzels in the oven overnight. When everyone came in the next morning, the pretzels were hard. This gave Julius a new idea, which his boss did not appreciate. Unable to convince his boss to sell hard pretzels, he struck out on his own in 1861. 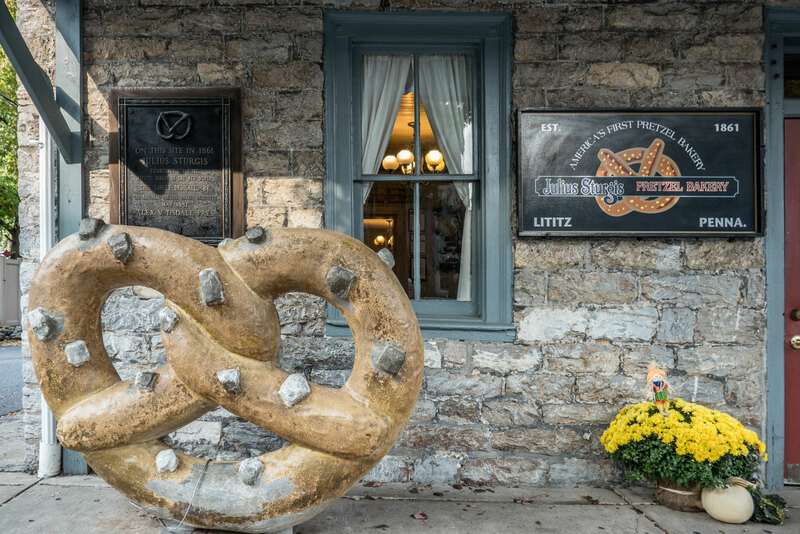 Sturgis purchased the current Main Street location for $2,450 and started the first hard pretzel company in America. Tours are available Monday through Saturday for just $3.50 ($2.50 for children). Their guide explains the pretzel’s religious origin as well as the story of the Sturgis family. Everyone gets to roll his or her own pretzel. No matter how poorly it comes out, you walk away with a certificate. Although the pretzels are now baked in nearby Reading, at Tom Sturgis (Julius’ grandson), visitors still get to take a small bag home. Fun fact: the original pretziola (Latin for “little reward”) was topped with sugar rather than salt! George and Henry Landis collected artifacts from early German settlers and established a museum in 1925. Today the museum is spread out over 100 acres and boasts more than 100,000 artifacts. 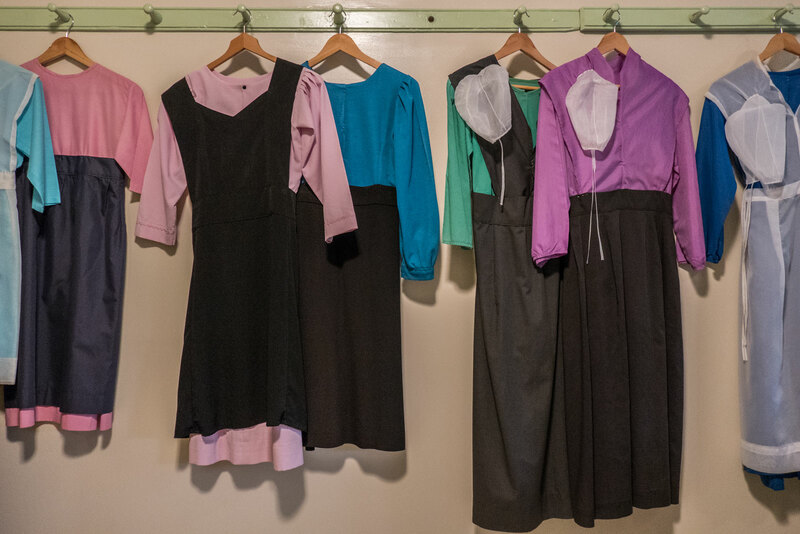 Highlights of the more than 25 buildings on the property include the collections gallery, an exhibit explaining the difference between Amish and Mennonites as well as the demonstrators. The museum blacksmith (Frank Gillespie) is a true artist and puts on an impressive demonstration on how to make a wall hook. Guided tours are available. It’s worth trying to plan your visit to coincide with one of their special events. Their slogan is “If you miss Miller’s, you miss Lancaster County.” While that certainly raises expectations, being around since 1929 means that they are doing something right. Like other smorgasbords in the area, there’s more than just food. There is also a winery, bible history exhibit and quilt shop on the property. What started with less than 1,000 items in 1977 has since grown into the largest horological collection in North America with over 12,000 items. 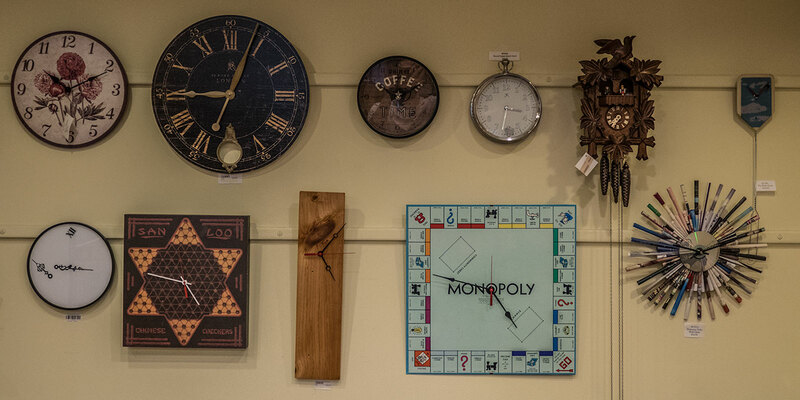 Their slogan is “America’s largest timekeeping collection.” Artifacts at the National Watch and Clock Museum include sundials, astrolabes, nocturnal dials, sandglasses and more. They have over 500 Hamilton wristwatches in their collection. As you tour the museum, the sound of clocks (not the Coldplay song) echoes in the background via the museum’s ambient system. Weekly workshops are available from March to November and it’s worth planning your visit to coincide with one of them. 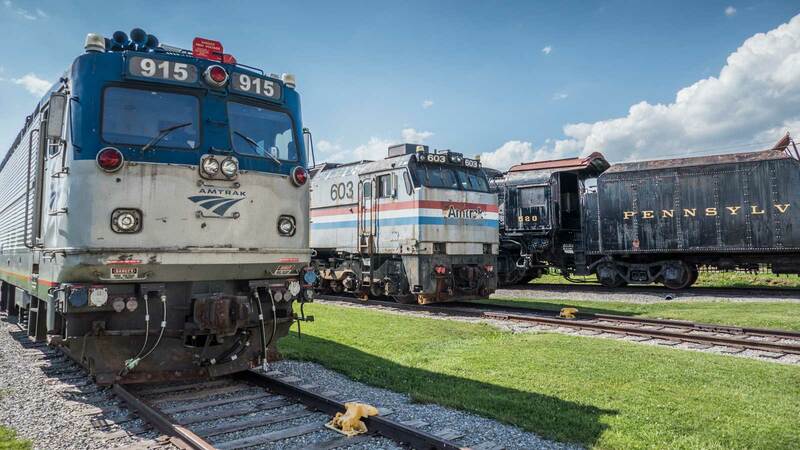 More than 100 historic locomotives and vintage railroad cars are on display at the Railroad Museum of Pennsylvania. From old woodburners and steam engines to diesel-powered and electric engines, their collection stretches back from the mid-19th to the 20th century. 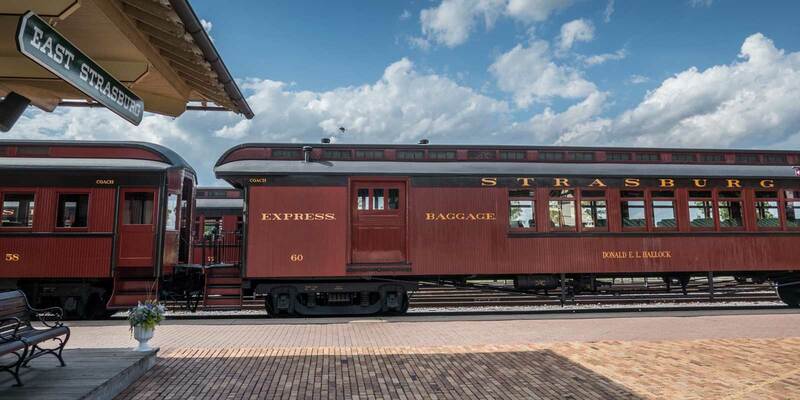 Across the street from the railroad museum you can take a ride on a vintage steam locomotive. Be prepared for spectacular scenery through the Amish farmlands of Lancaster County. Rides are approximately 45 minutes and fully narrated. Perhaps the biggest surprise for visitors is the fact that the train goes to Paradise. Literally! The downside is you have to turn around once you get there. Only a lucky 1,000 or so residents get to call Paradise home. In the 240 years since the United States declared its independence, only one of the 44 Presidents has been from Pennsylvania. You know, the state where the constitution was written and the declaration of independence was signed! Even some historians can be forgiven for forgetting his name since it’s been a LONG time. James Buchanan was the last president before the start of the American Civil War. He was followed by Abraham Lincoln from Illinois and as of 2008, Illinois has produced more United States Presidents than Pennsylvania. 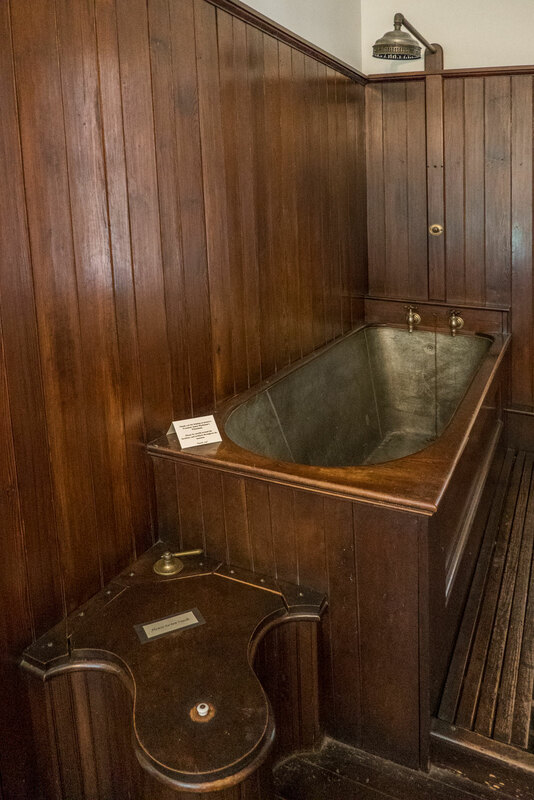 Oh well, the good news is that Buchanan’s Lancaster home’ is well preserved and has one of the coolest bathtubs. Perhaps cool because nobody actually has to use it and there’s an interesting looking bidet next to it. In addition to being the only president from Pennsylvania, Buchanan was also the only bachelor to occupy the White House for a full term. Wow … who knew that Lancaster had all this neat stuff? A pretzel factory sounds right up my alley! Also many probably don’t know that Amish isn’t a religion. I love how you took a place many wouldn’t stop to visit and showed us all the neat parts! Oh that is so interesting about the pretzels! I wonder how things got invented and it’s amazing that pretzels came from a mistake. There is something about the Amish lifestyle that I find so fascinating and I would love to do a tour one day. Great post as always, Brian! Now that’s something I would visit, the Julius Sturgis Pretzel Factory Tour! I have no idea how to make a pretzel, that would be a great learning opportunity. 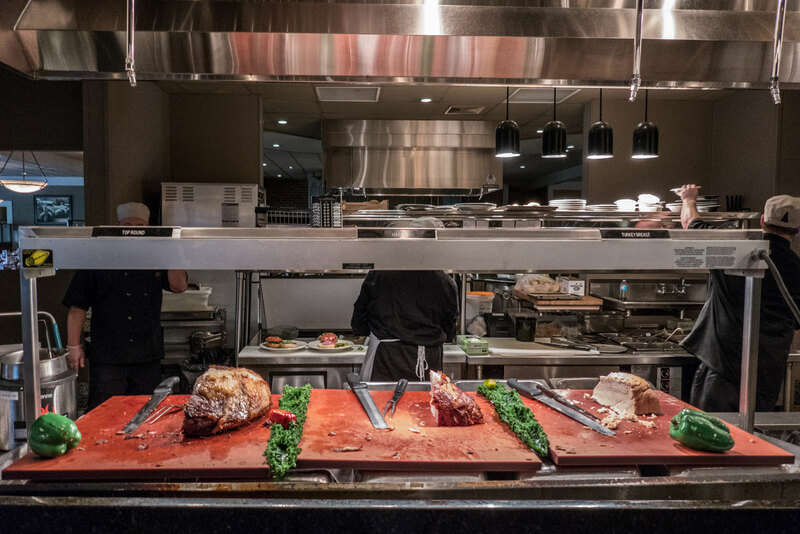 Also, if I’ll visit Lancaster i wouldn’t miss going to the Miller’s Smorgasbord. The food looks so delicious! Looks and sounds very interesting! Never been to Pennsylvania but ought to do a trip there to explore a bit more. I had no idea Lancaster had so much history and so many things to do in and around the place! Thanks for sharing, adding to my list the next time I am on the East Coast. There is so much to see and do in Lancaster. My son would love he railroad museums, and I would love the massive farmers market! I remember visiting an Amish village when I went on exchange to the States during high school (years ago). I’ve found it really fascinating! Wow, this looks like a wonderful place to visit, so many beautiful things to see! Thank you so much for sharing! That’s so neat that this city hosts such differing cultures. I would love to visit the Amish village and get and pick up fresh food from the market! I think I would like to visit the watch and clock museum . I would love to know more about the way they work its fascinating. Wow! That is pretty cool that there is so much different history to be able view and so much to do there! Crikey, there’s a lot to do in Lancaster, surely more than in Lancaster, UK. However, it does feel strange that a tour exists for people to look at other people’s communities. I’d love to visit the pretzel factory, especially since you can roll your own. How cool! I didn’t know that Lancaster County has so many things to explore. I’ll definitely try to visit Amish Museum and take a tour to explore more about their lifestyle and do Julius Sturgis Pretzel Factory tour on my upcoming trip to Pennsylvania. Have pinned your post for my reference! Looks like a fabulous place to visit! I love visiting places that are so rich in history. My son would love to go see those trains! I missed commenting on your travel posts! There’s no doubt that they have a lot to offer especially in terms of history and culture. I would love to see that central market and the factory tour sounds amazing! I have never thought about taking time to visit Pennsylvania until now. I would love to learn more about the Amish honestly, their lifestyle seems so interesting! wooow it looks amazing, i love places with so much history and culture. Definitely on my bucket list. Very informative post!! All photos are brilliant! Never been to Pennsylvania but I would like to visit one day! Wow Lancaster County seems like a fascinating place! I’ve always wanted to check out the Amish communities so thank you for sharing some trivia on them. Pretzels! My German genes are tingeling! 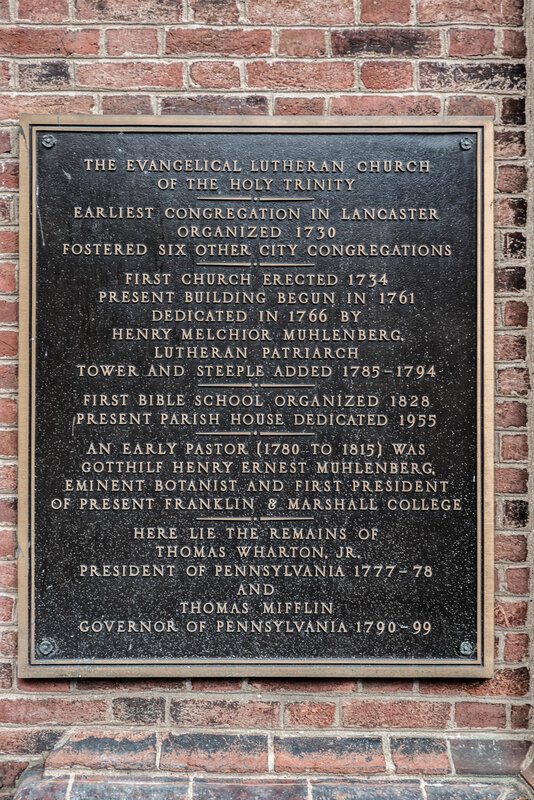 Thank you for including the historical aspect of Lancaster. I really enjoyed reading the post! What an interesting city, with such rich heritage. I quite fancy a pretzel now. I’ve always wanted to go to Pennsylvania. As a German speaking translator from Switzerland, I’ve been fascinated by the Amish and Pennsylvania Dutch for quite a while now. It would be a blast to experience both, even though I don’t understand a word of Pennsylvania Dutch… It’s so different! It sounds like a great place to visit with so much things to see. I am very much interested to learn more about Amish culture. It’s pity that you can’t take their pictures. Thanks for sharing! My american girlfriend actually went to University in Pennsylvania last year and I had the good fortune of exploring much of the state when I had a six month visit there. And, as a British person, I was really taken aback by some of the things I saw there and it was really surprising to see how living and authentic the Amish culture is there. Interestingly, James Buchanan’s heritage can be traced back to my hometown in Northern Ireland and seeing his old home was a rather proud, cyclical-feeling moment (even though he isn’t generally considered a successful president). Awesome post. I loved the photo with the different unique clocks! 😛 Lancaster sounds like a great place to visit with so much to do and see! It’s interesting to learn about all the history of this small town. We usually only hear about the bigger more popular cities in the U.S.A. but Lancaster seems to have a lot to offer including pretzels – yummy! I dont know Lancaster has so many rich history and culture. I especially interested in the Amish culture and always want to know the way of their living. Their self-sufficient life is interesting. There are so many beautiful places to see! Your pictures are absolutely great and gives a very good idea of this place. “Pennsylvania Dutch” is a corruption of the word, DEUTSCHE, which is the German word for German. Pennsylvania Dutch doesn’t refer to The Dutch. I’ve always found Amish culture to be fascinating, so this looks like the ideal place to visit. Seems like it has a lot of other interesting history and culture too! So interesting! This is really close to where family lives, and I am constantly driving through the area – but not stopping! Ok, maybe that has to change. I would love to see the Amish museum, and the Central market. Thanks for the post! Looks like a really interesting place. I would love to learn more about Amish culture. What an interesting post to read. It looks like a wonderful place to visit. The market and the museum would be top of my list. You won me with the eco initiatives! I want to support places that care! That’s what stood out the most to me as well! Wait. If Lancaster has the second largest Amish population, then where is the largest Amish population? Ohio. It surprised me as well.